You have decided you want to host your website on a VPS server. Maybe your site has outgrown the confines of a shared hosting account? Or your new website is a complicated affair with large databases and requires more resources than a shared hosting account can provide? Whatever the reasoning, you need to know the important factors to look for in a VPS and how they will affect your website. To help you in your VPS quest, we have compiled a simple guide to help take some of the complications out of searching and selecting a VPS provider. VPS stands for Virtual Private Server. 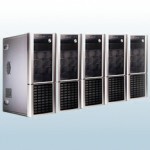 A physical server is virtually segmented into smaller servers. Each VPS is allocated a certain share of the overall resources of the physical server it resides on. With the exception of the CPU, the resources allocated to each VPS are dedicated and private. They cannot be used by other VPS accounts on the same server. You may have been using shared hosting and decided to move to a VPS. So what extra resources and features will a VPS provide? A VPS account comes with dedicated resources. Unlike shared hosting, you will be allocated a dedicated amount of RAM and disk space, often referred to as guaranteed resources. The RAM is the important issue. Even the disk space allocated by a basic VPS package will normally be sufficient. A low RAM allocation, however, makes some basic VPS packages a no-go right from the start. The smallest allocation of RAM being offered with VPSs is 128Mb. This is a fairly meagre amount and you should be looking for at least 256Mb to begin with. Most websites now use some form of database and graphical content that relies on RAM to function efficiently. Unless you are running the most basic of websites you need to be asking for 256Mb at the very least. Some VPS providers will offer a ‘burstable’ RAM feature. This allows you to exceed your RAM allowance if necessary (a sudden traffic surge for example). This is not a guaranteed resource and a hosting company will ask you to upgrade if your website constantly abuses the feature and regularly exceeds its allotted RAM allocation. But burstable RAM provides a welcome safety net for those unforeseen situations. Your VPS package will offer some immediate advantages in terms of control and overall personalization. You will be able to install your own programs, scripts, and applications…or have the hosting provider do that for you. The level of actual involvement you have in this depends on whether you opt for a managed or unmanaged VPS account. Both these options will be discussed in a moment. Apart from CPU power, a VPS account does not share resources. This provides a more stable and secure environment. No other user accounts, located on the same server, can access your disk space or RAM. For this reason alone, VPS is a lot more secure than shared hosting. If you are moving directly from shared hosting and have limited technical expertise (in term of web hosting, server functions, and program installation) you may want to opt for a Managed account. With a managed account, your web host will assist with a variety of technical assistance. The most common service is to help with the installation of programs and applications, and provide assistance with transferring databases and important website files. More often than not, a good provider will offer a selection of useful programs for you to choose from. They will then install any that you select. A Managed VPS account allows you the freedom to not become distracted with more evolved technical issues, while remaining control over what software is installed on your account. The downside is you will be reliant on your web host to provide adequate software, and trust them to install and manage it correctly. You will probably have worked out that an Unmanaged VPS account means no interference from a web host. You will be able to choose your own software and install it yourself. This is the option for the technically savvy control freak. The web host will still be responsible for maintaining the server and performing system upgrades, but otherwise, you will be left to your own devices. Your VPS will reside on a physical server alongside other accounts. While your VPS does have dedicated RAM and disk space, it still shares the physical server’s CPU with all the other accounts. This is hardly ever a concern and will rarely affect performance, but there is a chance that a less reputable web host will host too many VPS accounts on one server. This is referred to as ‘overselling’. Too many accounts on one server can add a severe constraint to the CPU performance each account receives. This could also occur when too many resource-hungry accounts are place on the same physical server. If you opt for a low RAM VPS package and/or end up with a host that oversells, you will wish you had stuck with shared hosting. Demand the Best VPS Deal: Tell the Web Host What YOU Want! You will probably find many basic VPS packages are cheap because the offer a tiny RAM allowance. These are not really any better than a good shared hosting package. The next problem is when you choose the next option to get the additional RAM you require and find it also has way too much disk space. You don’t want to pay for something you will probably never use. The answer is to be pushy. Contact the web host and tell them that you are looking for more RAM, not RAM and disk space, and you are not willing to pay for something you do not need. Ask them if they can offer you additional RAM with the same basic disk space allowance and tell the host you only want to pay for additional RAM. There are many reputable web hosts competing in a very fierce market. Don’t be afraid to tell them what you want, and remember the famous line, ‘the customer is always right!’ One of the hosts to look at is SiteValley.com – check out cheap VPS servers they offer. Their virtual servers are set up with great care, and their support is friendly and confident. This guest post is written by Roko Nastic, editor at WebmasterFormat.com. He likes helping people choose a web host for general or more specific purposes like choosing hosting for DotNetNuke website.